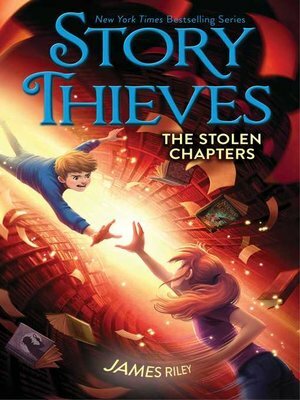 Owen, Kiel, and Bethany confront secrets, stolen memories, and some very familiar faces in the second book in the New York Times bestselling series, Story Thieves—which was called a "fast-paced, action-packed tale" by School Library Journal—from the author of the Half Upon a Time trilogy. Owen Conners's whole life changed the day he found out his classmate Bethany was half-fictional, and could take him into any book in the library. Which story would they jump into next? Another fantasy, like the Kiel Gnomenfoot, Magic Thief books? Maybe something with superheroes? Owen's up for anything except mysteries—those just have too many hidden clues, twists that make no sense, and an ending you never see coming. Then Owen wakes up in a real-life mystery with a memory that's been erased and too many questions. How did Kiel Gnomenfoot lose all of his magic? Where is Bethany? And who's the annoying guy wearing the question mark mask and Sherlock Holmes hat, taunting Owen and Kiel that Bethany is in grave danger? Bethany is trapped in a hidden room that's slowly filling with water, and she can't escape until her friends find her. But is she imprisoned by more than just chains and a locked door? What's she hiding from Owen and Kiel? James Riley lives in the DC area. He is the author of Half Upon a Time, Twice Upon a Time, and Once Upon the End as well as the Story Thieves series.